The WordPress theme from Elegant Themes named Divi has changed the way that many people build websites. Here at Big Boom Design it is our Theme of choice. Even this website that you’re on right now was built on Divi. The extreme functionality, responsive design, built-in page layouts and ease of use are just of a few of the amazing features that makes this theme our go-to theme for building WordPress sites. 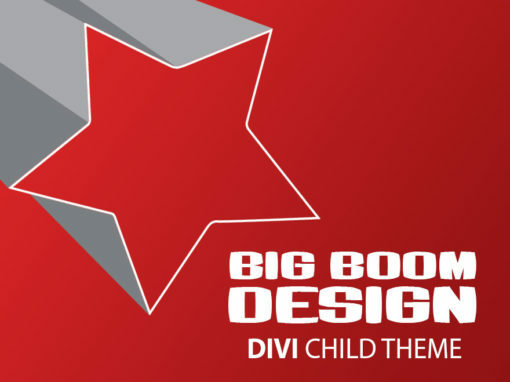 We’ve decided to offer up our Divi Child Theme for FREE!